I have collected some of the best DIY rainbow crafts for your inspiration. All of them are amazingly stunning and awesome. They are easy and quick to make even kids and beginners can try them. I come with step by step tutorials for your easiness. Do you love rainbows? Almost everyone like to have rainbow crafts at his home in spring. And we all know spring is fully spread all around us. So, it is the best time bring bright colors in our home and our favorite items. In spring, most of us want to decorate our home with some bright colors and want to make favorite items colorful and bright. 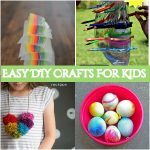 You can make a bunch of rainbow crafts and rainbow themed crafts. These crafts are so much fun and make us smile. 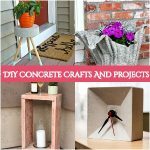 Creative DIY rainbow home décor, fun DIY rainbow gifts, stunning ideas for accessories and of course wall art make our life brighter and beautiful. 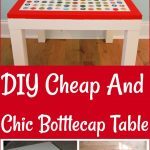 They are easy to create and mostly really inexpensive. From crochet pattern to paint anything, rainbow crafts can be made in various styles and designs. So, move ahead and try them out at your own home and give a rainbow crafts touch to your favorite items and things. So, have some fun with these rainbow crafts. Scroll down to get ideas on this post.